SABROSO! 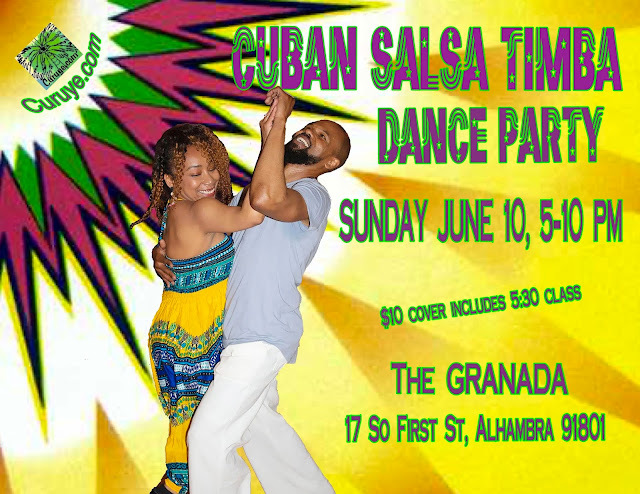 WELCOME SUMMER dancing to CUBAN SALSA-TIMBA-SON-RUMBA-REGGAETÓN at CURUYE’s JUNE CUBAN DANCE PARTY! 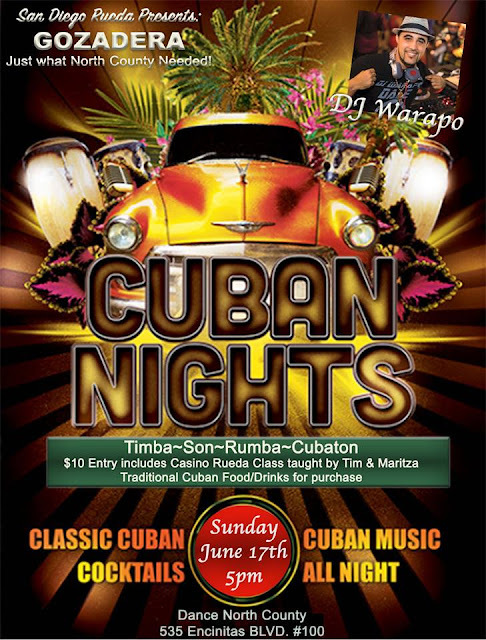 DEEJAY WARAPO playing the BEST and LATEST of CUBAN DANCE MUSIC, keeping the dance energy high throughout the evening! CELEBRATING the JUNE BIRTHDAYS of KAY TORRES, TANIA de la PEÑA, CYNTHIA GUEDEA, MARLON CLARK. Word has it that not only will we be celebrating with the birthday dance, but with a fresh mango cake to share as well! KATI HERNÁNDEZ will kick off the party with her hot Cuban dance moves, and throughout the evening--aside from the salsa and timba, we’ll be dancing to some reggaetón and carnival congas! Plan on having a meal or snack from Chef Israel's varied menu! 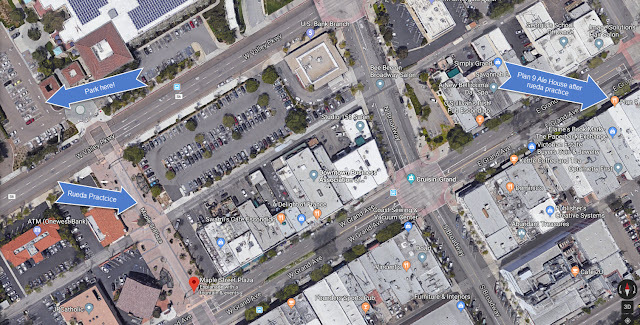 FREE PARKING in structure across from the GRANADA. SPREAD THE WORD & LET's MEET UP ON THE DANCE FLOOR! Happy Beginning of a fabulous summer. Time to take our your sandals, sneakers and flip flops and come to our June installment of Casino on Grass. 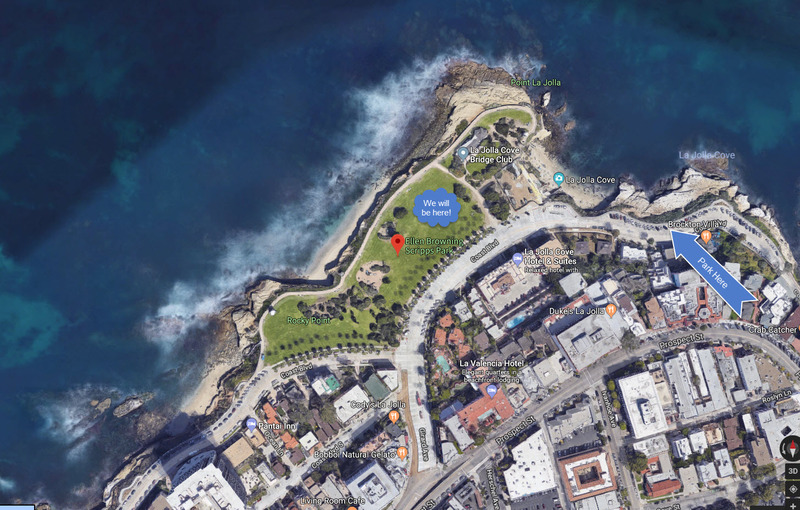 We are taking it to a new spot in La Jolla at Ellen Browning Scripps Park. This has one of the best views of the ocean so don't miss out on some dancing fun. 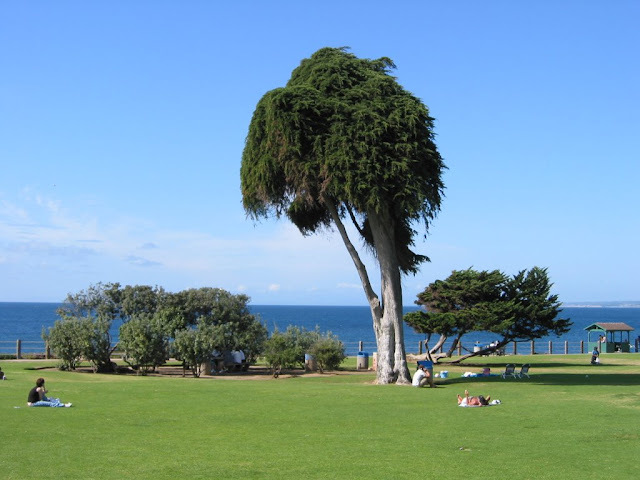 HOW TO PREPARE: Bring a snack and something to drink, beach layered clothing, blankets, sunblock, sunglasses, camera, beach chairs. We are definitely taking pictures of this place! Great news for Temecula (Southwest Riverside County)!! Maritza Baida will be teaching a 3-month Rueda de Casino Beginner Level series through California State University San Marcos, Temecula. This is a personal enrichment course offered to the community. If this is your first time ever hearing about this type of dance, Here is quick description: it is Cuban Salsa danced in a circle formation switching partners. 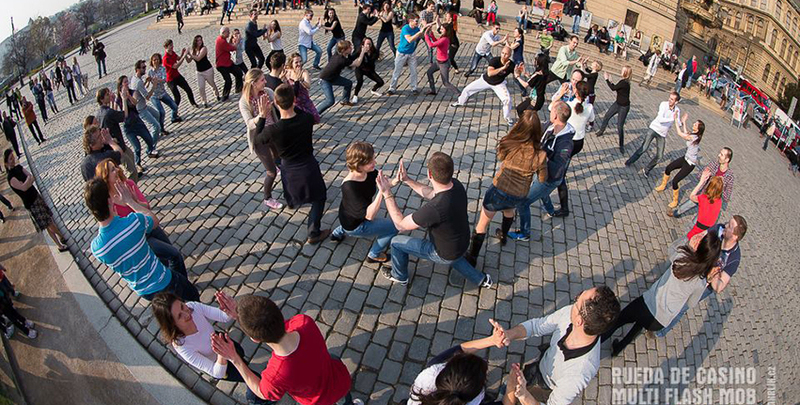 There is a caller in the circle who calls out the moves and everyone does the moves together. 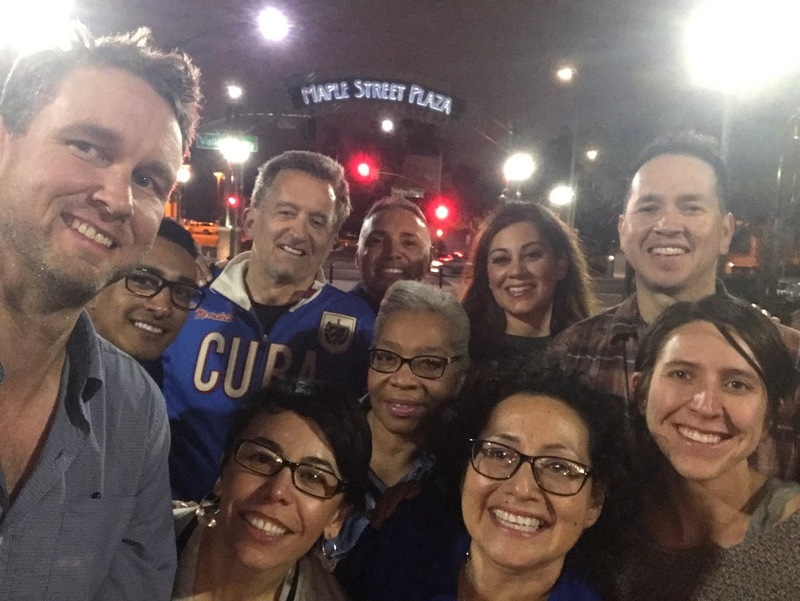 If you have never seen this social dance before, click the video link below or check out this video link of Maritza calling in this circle back in Seattle. Come learn the hottest dance craze in all of Europe, Scandinavia, Far East, Latin America, Australia, Mexico, Canada, and in small pockets cities around the US. If you love regular salsa dancing, this dance will take you to the next level of musicality, technical savviness in partner dancing, creating a supportive community within this dance. FYI - There is carpet in the room so bring some big socks to cover your sneakers to save your knees on pivot turns. HOW TO REGISTER: Click on this link. Then, click the "Student Login" to create an account to register for the class and pay for the class. If you have difficulty registering online, just come to the class. We will have laptops for people to register online. COST: $55 for each month (3-month plan) Total $165 for the whole series. Maritza's Intermediate level 1 Class Series Starts June 5th - Registration is now open! That's Right! You heard and seen that correctly. it is real, mi gente! It's happening. Our own North County Gozadera Cuban Nights event. Put it on your calendar people!! If you are a current college student, bring your student ID card to get in for free. We are heading back to Maple Street Plaza for our rueda practice. Come hang out with us as we dance during the Cruisin' Grand (Classic Car show). Then we are celebrating at Plan 9 Ale House our victory of a successful performance by our new EscoRueda Group this last Sunday (Mother's Day) at the Center for the Arts. Anyone can come. A weekend of Cuban music. Timba, Son, Rumba. A weekend of great attitude, old and new friends, smiles and lots of dance. All the rooms are suites, with living room, sofa and kitchen. Parties on Friday and Saturday night and Sunday Matinee. Parties on Friday and Saturday will be hosted at Academy Ballroom. Performances both night and a much larger space to dance all night. Sunday day, we are taking the party to the park. Workshops on Saturday day at Academy Ballroom. 3 Djs every night spinning the best Cuban music. Attendees from Michigan, New Orleans, Georgia, North Carolina, California, Kentucky, Indiana, South Carolina, Alabama, Canada and Florida have already confirm and we expect many more.